HomeNews and EventsYou lucky f$%ker! I don’t believe in luck. Fate, perhaps. Actually, probably. But luck in business? You’ve got to be kidding. Business is hard, competitive, cut throat, dog eat dog. You can’t seriously suggest that someone was successful because of luck. Luck is a polite word that successful / brilliant people use to mask the fact that they want to be “modest” about their success. Maybe, they are taciturn because going into detail, and discussing the reality of the daily grind and stress they went through to become successful, is a turn off for other people. Better to put it down to “luck” and keep the mystique intact. Whoever coined this phrase (and there is much conjecture about its origins) was a realist. Having said that, there is a quandary of sorts, and here it is: I never play golf. So, if I nailed a hole in one then, for certain, everyone will call me “lucky”. I am no golfer, so my friends would fall about laughing and call me a “lucky f$%ker” and expect me to buy drinks. If I was a professional golfer however, and I got a hole in one then everyone would say what a great golfer I was. They would laud my skill and say that my ability to get the ball into such a small hole from such a great distance was a testament to my practice, my dedication, my work ethic and it was these factors which have honed my skills and prowess. Interesting quandary. But as a hole in one from a once a year golfer is improbable, great business outcomes from a part time participant is almost impossible. Perhaps another short sporting analogy before the knockout punch. In Australia, we haven’t had many winter Olympians of great repute. In fact, we can count our Winter Olympic gold medallists on the fingers of one hand. Everyone in Australia knows our speed skating Gold Medallist Steve Bradbury. For many, he became a punchline and a “lucky so and so”. For me, he is an inspiration and a rolled gold tribute to hard work and dedication to ones’ craft. In case you don’t know the story, Steve had participated at 3 previous Winter Olympics before his 4th attempt at Salt Lake City in 2002. He was an absolute outsider in his event of short track 1,000-meter speed skating. Bradbury won his heat easily and advanced to the quarters. With only the first two in each race advancing, Bradbury’s third place in the quarters appeared to be the end of another Olympic campaign. However, the second-place getter, the defending world champion and local hero, was disqualified for interference. Was it luck? No, it’s life. Steve advanced to the Semis. I heard Steve speak once and whilst he himself acknowledges that he wasn’t the quickest skater in the pack, he certainly won’t accept that his gold medal was a consolation prize that he doesn’t deserve. In his words, he got himself to the Olympics, he was the one who for years had put in the early mornings, did all the training, overcame all the injuries, continued to race and push himself and compete. Was it luck that he got to the Olympics? Was it luck that he put himself on the starting line? Is he the first person to win because competitors focussed on each other and let the least likely sneak up from behind and pinch gold? All that Steve couldn’t control was his competitors and how and when they fell. But when they did, he had an armchair view of the chaos and was able to successfully capitalise on their battle. He didn’t cheat. So, his crowning glory is not ignominious in the slightest. Okay, I lied. One more sporting analogy. My own experiences in business tells me that luck was not a factor. Timing was critical, but it still wasn’t luck. The thing about business, as opposed to sport, is that outcomes can be non-linear and can be measured in infinite ways. If you are in business, and you get a good outcome, do you put it down to luck, or other factors such as having a go, being brave, being bold, planning, strategising, working hard, taking risks, building a better product and then doubling down and working harder still? Starting a business is like getting in a boxing ring, occasionally you are going to get wear bruises to the body or even get poleaxed. However, if you survive long enough, become fleet of foot and dexterous of hand, then maybe, just maybe you will inflict a few bruises or even land a knockout punch. I don’t see that as luck. One thing is for certain though, if you sit on the sidelines and never climb over the ropes, you’ll never land a single punch. One last thing – choices equal outcomes yet some call it magic dust. I don’t believe in luck, but I do see wonderful things happen in business. These wonderful things often appear to be worlds-aligning and cause great things to transpire. To me this “magic dust” or “x-factor”, as some call it, is again a product of practice, rigour, good judgement and perseverance. If you didn’t make you choices that enabled you to land in the places where the “magic dust” was sprinkled, you never would have got a dusting. 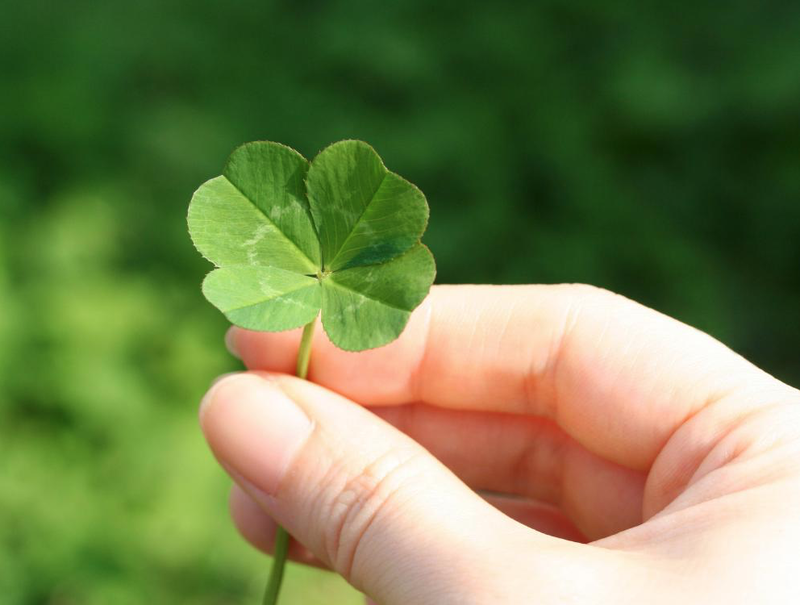 Do you believe in luck in business?